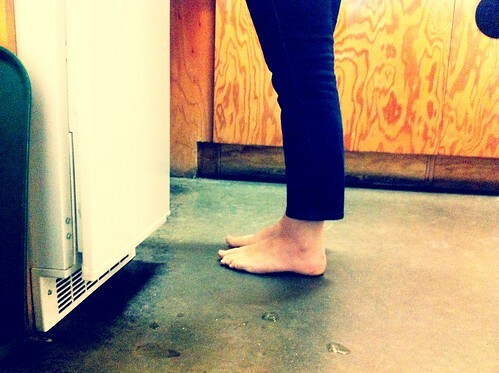 Go shoeless at work? Sure! Of our 173 blog posts, 5 have referenced our Toms shoes. After today, we’ll be 6 for 174! That’s because today is One Day Without Shoes and lali is doing our part to spread awareness that millions of children live without proper footwear, exposing them to injury and disease every day. Clearly we’re a fan of the Toms brand, enjoy the four pairs of Toms shoes we own between the two of us, and love the way they’ve merged capitalism with conscience. We were even willing to scurry shoeless through the kitchens at the risk of stern reprimand! And we’re also super excited to welcome them to the neighborhood. 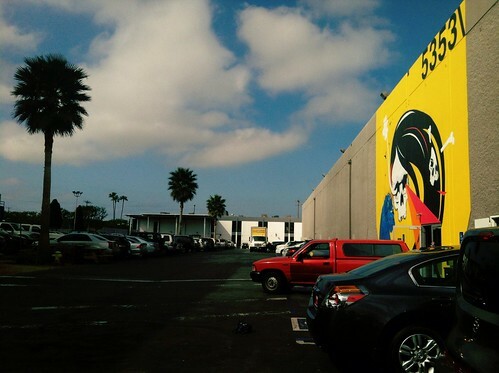 They recently joined our cool-companies-with-warehouse-offices-in-Playa-del-Rey club, and now basically share Chiat’s parking lot (that’s them at the end). PS to our neighbors: if you’re reading this, we’re still anxiously awaiting a tour and chance to go down the twisty slide we can see from outside your window while we’re parking our cars. Also, we should collaborate on some ads sometime, don’t you think? 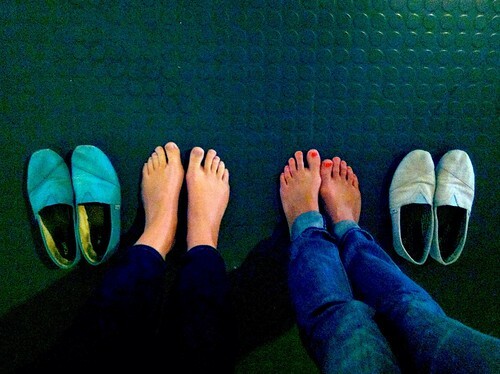 So thanks, Toms, for giving us a reason to concept shoeless other than our usual love of comfort and bare feet. We hope lots of kids have brighter futures after today.